Times have been busy leading up to Christmas, but here is a quick update with some of the more recent things I have been doing. DV Bryant 90th Celebration Film: December 2014 from nimbus media on Vimeo. A track from an unused film score for a thriller film about becoming unexpected trapped. Created with Nick Tipping on bass this piece is a a real-time, unplanned moment of musical communication. I appreciate that this is a long track, and as such it may prove daunting to commit to listening through – especially as time spent online is often searching for the quick reward. But, this track, and the musical journey it contains, is something that I believe it is worth listening to. So, if you feel so inclined, sit back, close your eyes, and listen. Perhaps this moment with communicate something to you. It seems a new musical tradition is being set in motion. This time, one year ago I was lucky enough to spent a couple of days with a group of great musicians (Chris Lam Sam, Nick Granville, Nick Tipping, Jeremy Badger, Adam Page) creating and co-composing the soundtrack to the movie – Penny Black. This movie is nearing a release (with an accompanying soundtrack album). For the second version of this new yearly tradition, I spent the day today in the University of Otago Music Department Albany Street Studios creating new music with Rob Burns (bass) and Robbie Craigie (drums and vibraphone). It is always great to get into a creative space with likeminded musicians and create sound in a space together. Very much looking forward to getting in and mixing the new music from today… but in the meantime here are some tracks from the Penny Black Soundtrack. It is such an honour and a privilege to be able to make music with all these extremely talented and generous musicians. 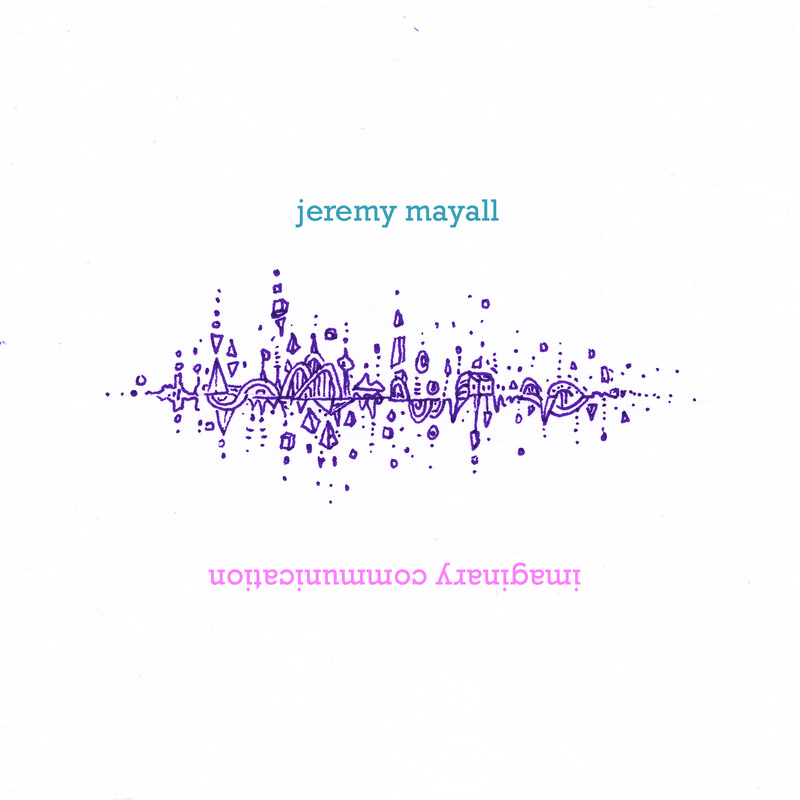 I recently released my new album of music for piano and electronics called Imaginary Communications. A Dunedin-based filmmaker heard the track ‘Those Remarkable Peaks‘ from that album and decided to make a landscape film with the track. R. from Merr Leslie on Vimeo. Things have been pretty hectic since the various concerts in the first week of August, so I figured now might be a good time to collate a few things. – Recently completed the sound mix for the LAPWING short film. A fun little superhero project that I co-scored with the Scorelocks Collective. – Worked on the score and sound design for a one minute horror film made by Tim Evans of Mukpuddy. 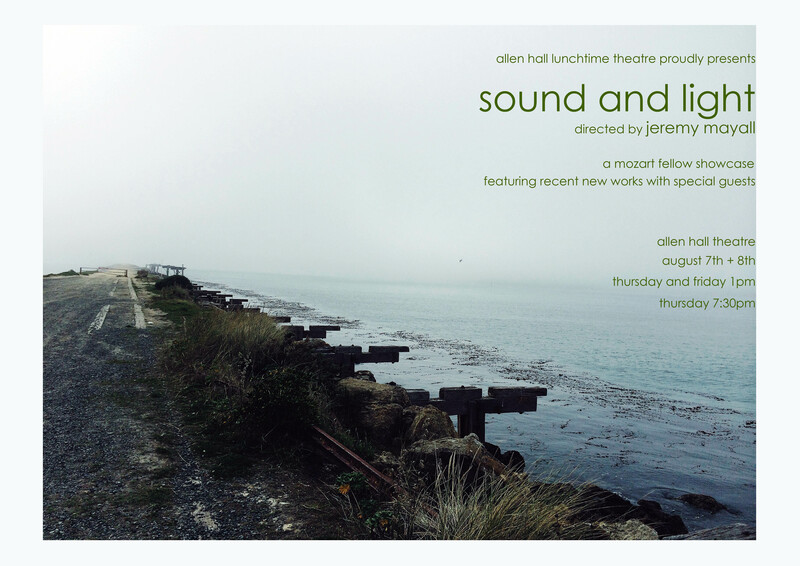 – A new orchestral work ‘convoluted’ selected for the NZSO–SOUNZ–Radio NZ Concert Recordings for 2015. 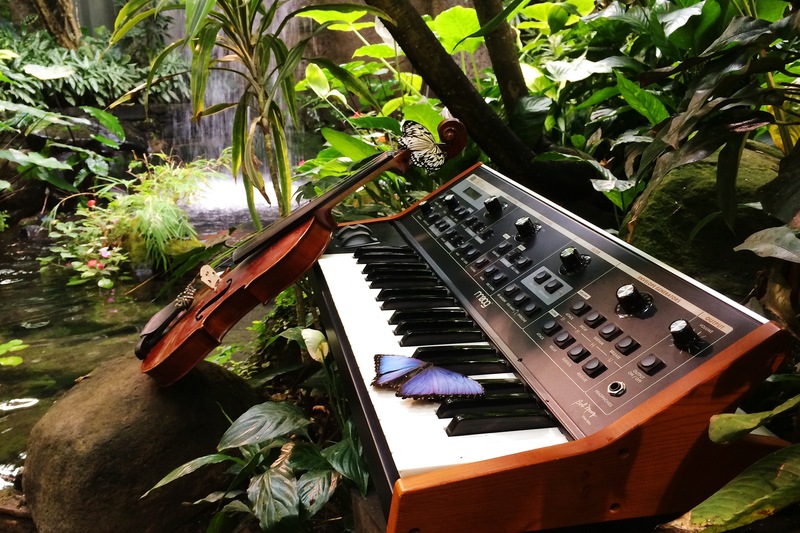 – String arrangements for a new pop song. – A remix for a re-arrangement of ‘Get Lucky’ by Nick Granville. It was a busy month! Now onward to September! 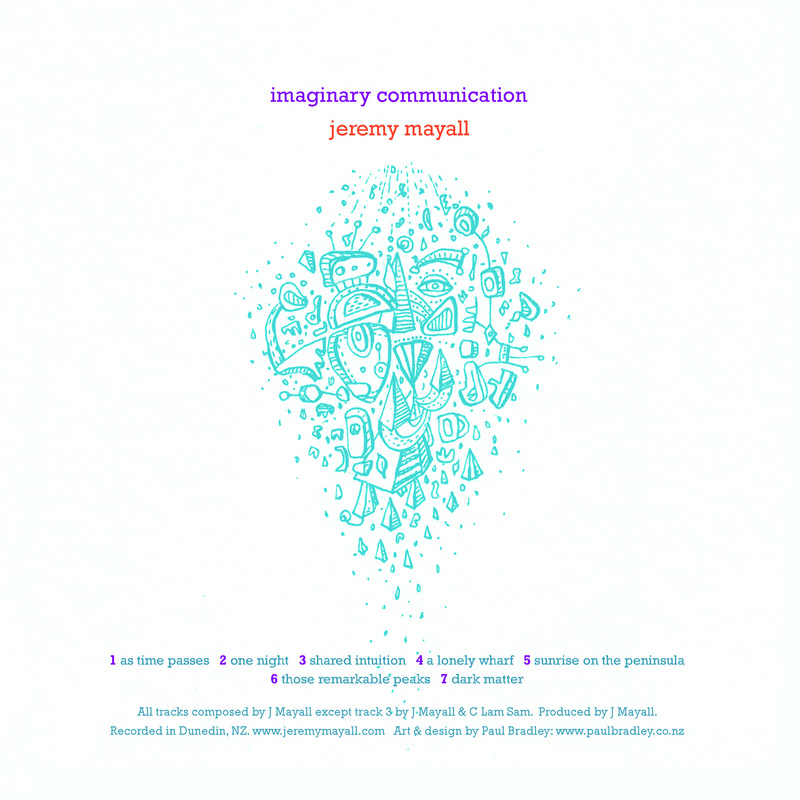 My new album Imaginary Communication is available now! Click here to go to the download site to get the album: available as a pay-what-you-like digital download. All proceeds received from the download of this album will be donated to the Himalayan Trust founded by Sir Edmund Hillary. Check out the album artwork created by Paul Bradley. This performance will feature a number of premieres of new works I have composed throughout my time as the Mozart Fellow. And a couple of other treats. 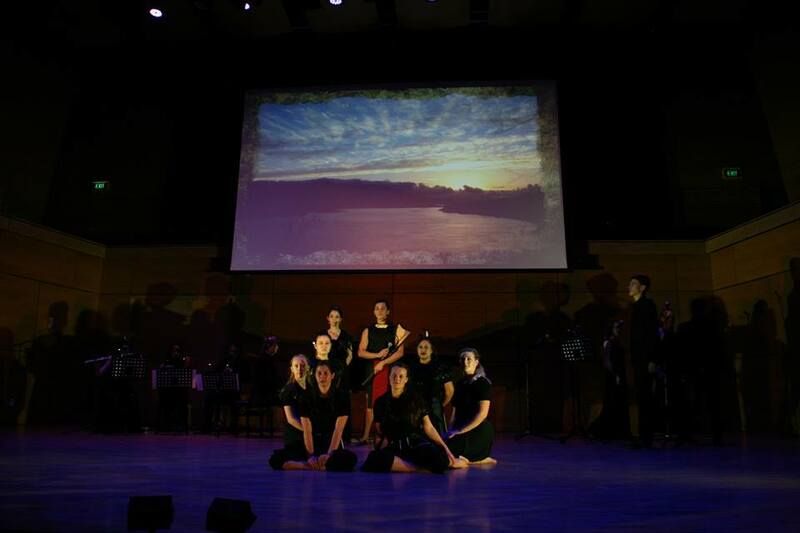 There will be an opportunity for an informal Q & A Session following the evening performance. The performance coincides with the release of my new abum ‘Imaginary Communicaton’ – a suite of pieces for piano and electronics. This will be available for download on a pay-as-you-like basis, with all proceeds going to Sir Edmund Hillary’s Himalayan Trust. 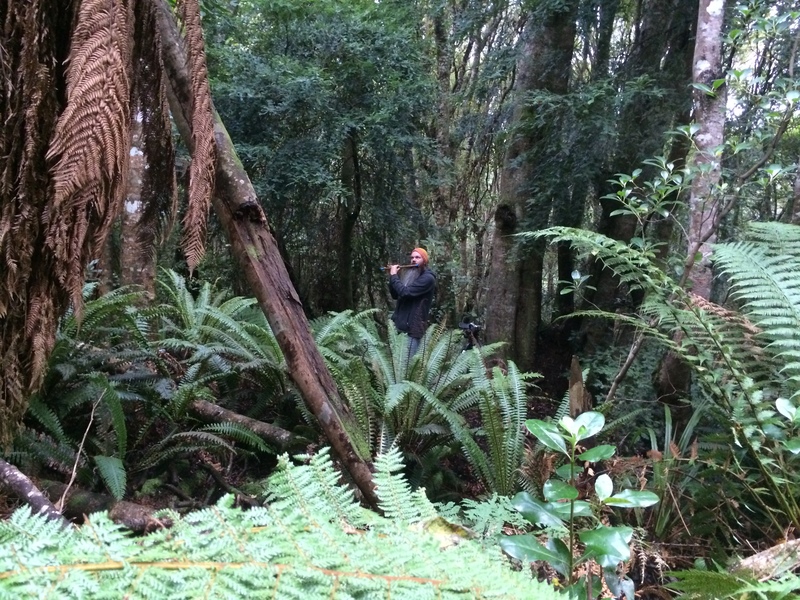 About a month ago I drove down to Invercargill to record in the Seaward Bush Reserve with woodwind maestro Adam Page. The recordings are part of a new album I am working on, to be released later in the year, but as part of the recording we did an extra track that is now available to listen to. Adam Page playing bansuri in Seaward bush reserve. Adam is playing a bansuri on this recording with some extra electronic manipulation… but the performance is as it was. This is about capturing a specific moment in time, a moment in space – a conversation with the landscape.